For some odd reason, I have always associated orange with funk, so from that perspective, Emma could not have picked a better color for the DiscumBOBulator touch wah. It is extremely funky, so the two first pieces fit perfectly. Now, let’s check out the rest. DiscumBOBulator is a bit tricky to pronounce at first, which may or may not lead you to believe it is a hugely complex pedal to operate. This is, fortunately, not the case. It’s actually petty straight forward and compared to many other envelope filters, it is quite easy to dial in some great-sounding and useful tones. The first knob to get right is the SENSITIVITY on the far left. This knob controls how the pedal reacts to the incoming signal, which is highly dependent on your bass (e.g. passive or active) as well as your playing style. Moving one step to the right, you will find a 2-way toggle switch that simply Sets the filter direction (UP or DOWN) as you trigger it. The WIDTH knob controls the ‘Q’ or the slope of the dynamic filter and finally the ATTACK controls, well, the attack of the filter effect. Easy peasy. Also, filter effects are very sensitive, so while e.g. 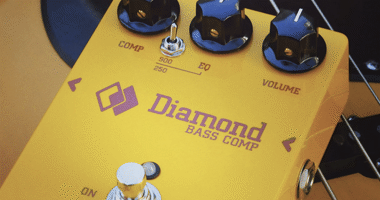 25%, 50%, 75% and 100% knob settings may not be too different from, say, 26%, 48%, 76% and 99% on a drive or preamp pedal, it can make a world of difference on a filter pedal. 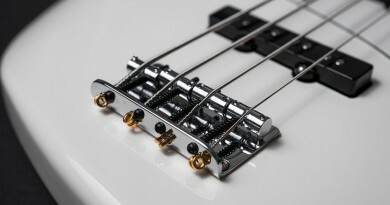 Hence, I have simply tried to dial in 5 useful tones on a passive Fender Jazz bass for each round. Despite the simplicity of having just 3 knobs and a toggle switch, I found the Emma DiscumBOBulator to be very versatile. Much more versatile than I had imagined it would be, and also more versatile than most other envelope filter pedals I have tried so far. For example, I love my old Boss FT-2 pedal, but for that one tone I have become used to. 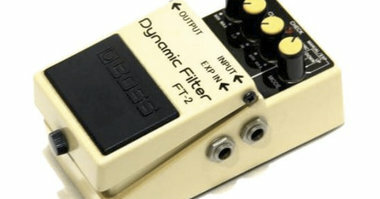 The same goes for a range of other filter pedals, they have one great tone and maybe a few variations, but this one is really one of the few of its kind that I have found equally great-sounding in the UP and DOWN modes. Different, yes, but great. 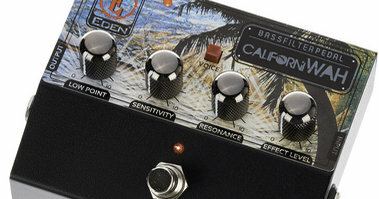 In some extreme positions, it does get over the top, introducing mud, clankiness or hiss, but that is only to be expected – and definitely not unique to this envelope filter pedal. I guess what I mean is that in conclusion I simply found this pedal very musical, which is one of the highest marks you can get in my book. The sheer build quality seems quite good. The unit I got for review was a pre-owned pedal picked up on the local craiglist. I actually don’t know how old it is, but it had clearly seen some good use over the years and still I experienced no noise, knob-crackling, funny connectors or other mishaps. This leads me to believe that it has been put together with great care and to the standard you would expect from a boutique-y pedal. As I have mentioned in the Versatility section, the controls work great together and it is surprisingly easy to dial in some funky and useful tones. Having said that, there is one thing that I almost always mention when I get the opportunity. 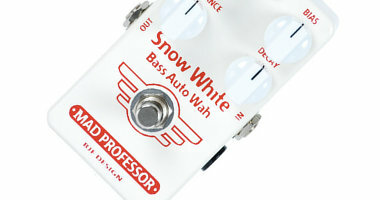 For bass, a blend option is extremely handy. 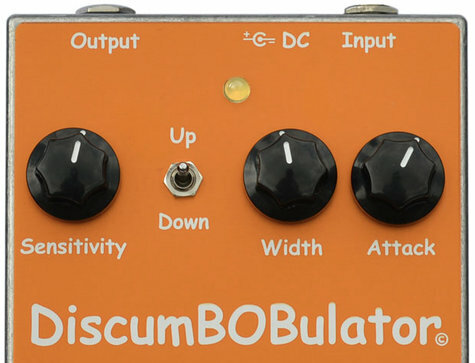 The DiscumBOBulator was not specifically created for bass, but on the other hand there are many dedicated bass envelope filter pedal around that don’t offer a Dry/Wet mix balance. In fact, now that I think about it, the MXR Bass Envelope Filter is probably the only one that does have a dry/wet mix feature. But that is exactly what sets it apart from the rest. Yes, I would have liked a blend control, but it is not a deal breaker, and you could always use it with a dedicated blend pedal. 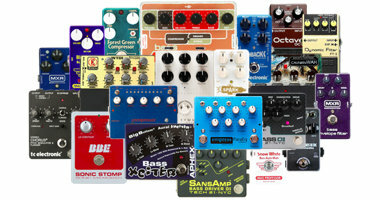 $260 is quite a bit of dollars for any pedal, but if you want great tones, you sometimes need to pay for it. Even considering the price tag, I’d say there is plenty of value for money here. 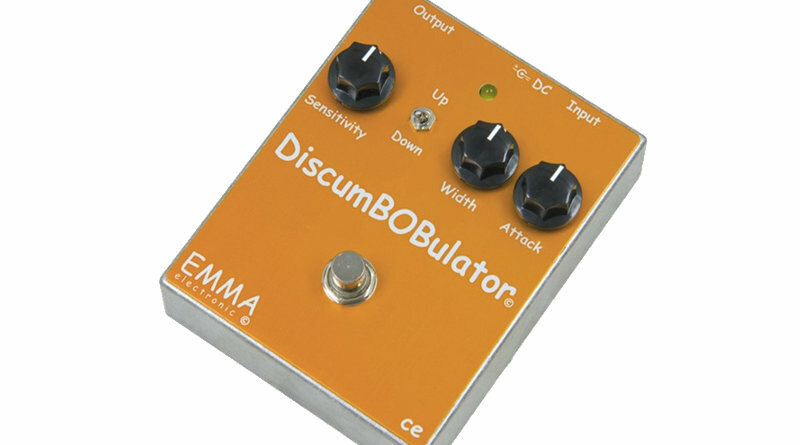 The Emma DiscumBOBulator is one of the best sounding envelope filters I have tried this far. It has a natural and very musical vibe that fits into a wide variety of genres and playing styles. The price is fairly high, but not high enough to bring the value-for-money factor down.